Sziget in Budapest is one of the biggest and most successful festivals in Europe, attracting more than 450,000 visitors each year. It all started way back in 1993 with 65 artists on the lineup, most of them Hungarian. Everything was different back then, the ticket price was just 1€, and even the name transformed from Diáksziget to Sziget throughout the years. But things soon started to change drastically. Until 2000, there were already 621 artists performing on the Sziget Stage. The year 2000 was a huge milestone for Sziget, as they broke the record with 324,000 attendees who enjoyed amazing shows of HIM, Guano Apes, Oasis, Lou Reed and many more. With its breathtaking location, fascinating stages and an amazingly diverse lineup, Sziget is on the bucket list of many. In the 25 years of its existence, the festival hosted more than 1,377 artists from around the world on its stages. Their secret sauce of success might be that there is something for a fan of every single genre: electronic, hip hop, pop, rock, metal and world music. But for its 25th anniversary, they took the festival to an even higher level. They invited more than 250 artists and included some of the biggest stars right now: Dua Lipa, Shawn Mendes, Mumford & Sons, Kendrick Lamar, Lana Del Rey, Arctic Monkeys. Artists came from Zimbabwe, Mexico and over 32 other countries around the world. 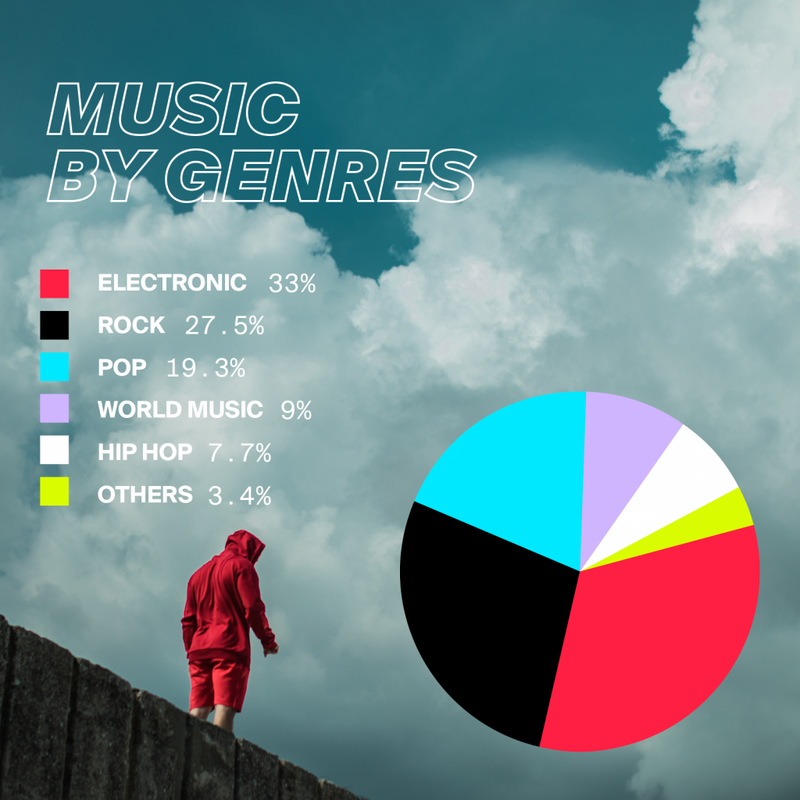 Two thirds of the artists were from electronic and rock genres, 19.3% from pop, 9% of world music and 7% of hip hop artists. The total lineup included 64 local artists, almost half of them rockers. 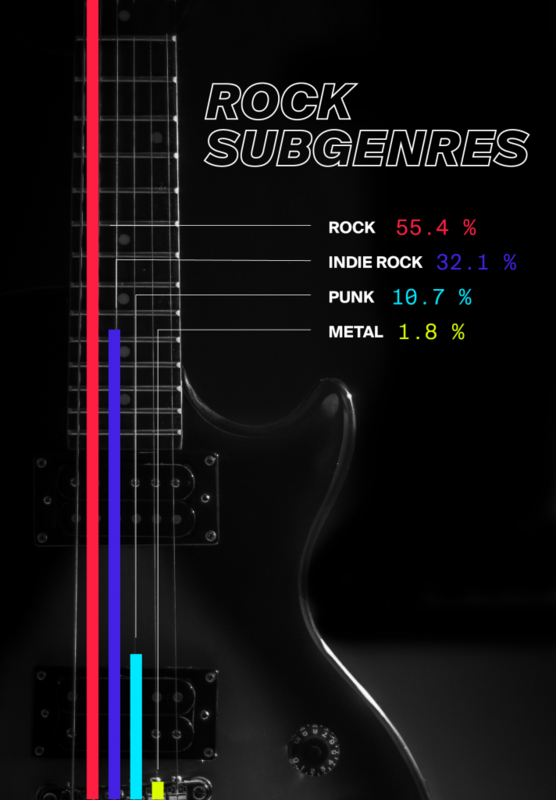 Most of the bands played rock and indie rock, 10% punk and fewer than 2% played metal. 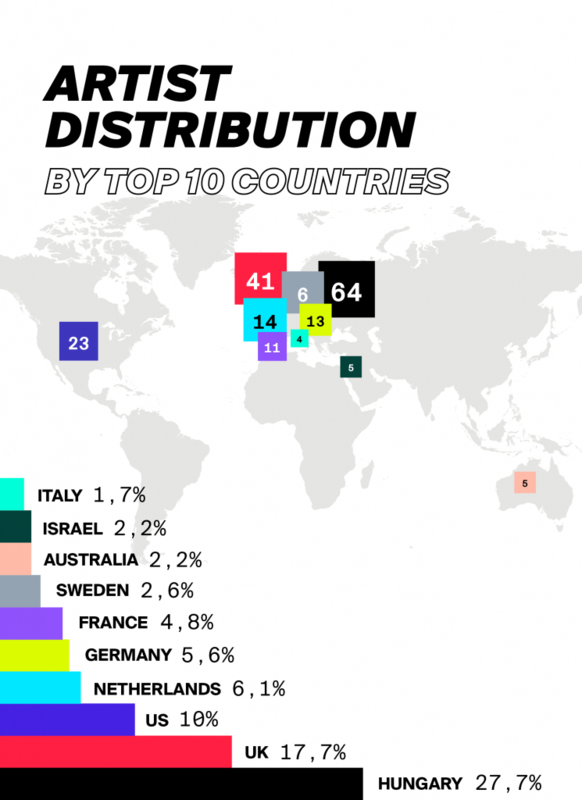 While 41 artists from the UK and 23 from the US are from pretty diverse genres, most of the artists that came from the Netherlands are focused on electronic music. 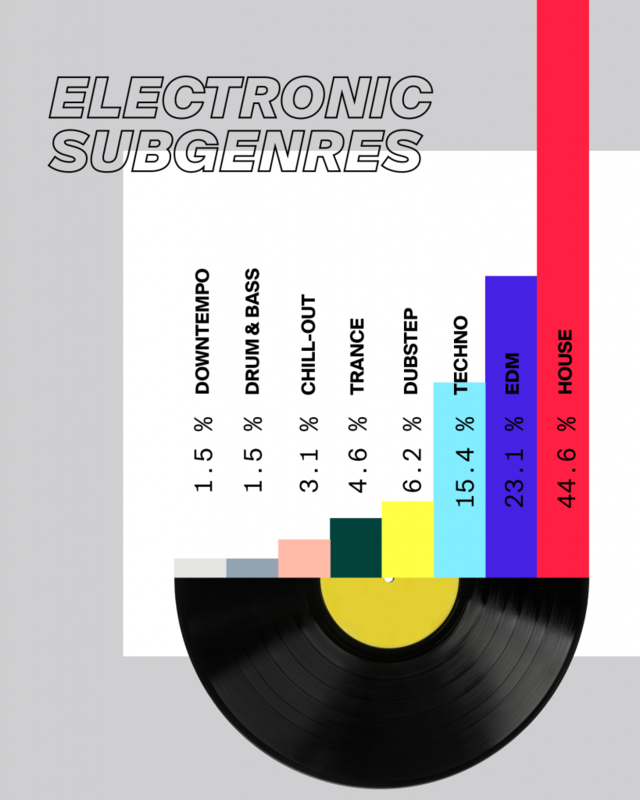 Fans of electronic music enjoyed 44 house and EDM sets, 10 uprising techno sets, and several trance, dubstep, drum & bass and chill-out performances. Sziget hosted some pretty impressive world music artists such as Baba Zula from Turkey that gained 101% new followers on Instagram in a week after the festival. Digital platforms were buzzing during the week of the festival. Millions of photos and videos were posted on social media but some of the artists made an outstanding impact online. UK pop band Bastille gained 2260% new followers on Instagram in just a week, while Dutch EDM producer Don Diablo increased traction on Youtube for 22%. Danish pop artist MØ got 104% more Wikipedia views the day after she performed at Sziget, a week after her Youtube views jumped for 45% and her Instagram went nuts with 211% new followers. Pretty impressive stats, right? Don’t lose track: follow the latest news!